In the mid-1990s, Gus, a polar bear in the Central Park Zoo, alarmed visitors by compulsively swimming figure eights in his pool, sometimes for 12 hours a day. He stalked children from his underwater window, prompting zoo staff to put up barriers to keep the frightened children away from his predatory gaze. Gus's neuroticism earned him the nickname "the bipolar bear," a dose of Prozac, and $25,000 worth of behavioural therapy. Gus is one of the many mentally unstable animals featured in Laurel Braitman's new book, Animal Madness: How Anxious Dogs, Compulsive Parrots, and Elephants in Recovery Help Us Understand Ourselves. The book features a dog that jumps out of a fourth floor apartment, a shin-biting miniature donkey, gorillas that sob, and compulsively masturbating walruses. Much of the animal madness Braitman describes is caused by humans forcing animals to live in unnatural habitats, and the suffering that ensues is on display most starkly in zoos. "Zoos as institutions are deeply problematic," Braitman told me. Gus, for example, was forced to live in an enclosure that is 0.00009 percent of the size his range would have been in his natural habitat. "It's impossible to replicate even a slim fraction of the kind of life polar bears have in the wild," Braitman writes. Many animals cope with unstimulating or small environments through stereotypic behaviour, which, in zoological parlance, is a repetitive behaviour that serves no obvious purpose, such as pacing, bar biting, and Gus' figure-eight swimming. Trichotillomania (repetitive hair plucking) and regurgitation and reingestation (the practice of repetitively vomiting and eating the vomit) are also common in captivity. According to Temple Grandin and Catherine Johnson, authors of Animals Make Us Human, these behaviors, "almost never occur in the wild." 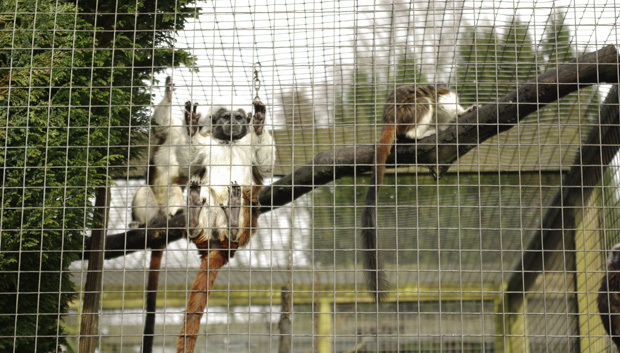 In captivity, these behaviours are so common that they have a name: "zoochosis," or psychosis caused by confinement. The disruption of family or pack units for the sake of breeding is another stressor in zoos, especially in species that form close-knit groups, such as gorillas and elephants. Zoo breeding programs, which are overseen by the Association of Zoos and Aquariums' Animal Exchange Database, move animals around the country when they identify a genetically suitable mate. Tom, a gorilla featured in Animal Madness, was moved hundreds of miles away because he was a good genetic match for another zoo's gorilla. At the new zoo, he was abused by the other gorillas and lost a third of his body weight. Eventually, he was sent back home, only to be sent to another zoo again once he was nursed back to health. When his zookeepers visited him at his new zoo, he ran toward them sobbing and crying, following them until visitors complained that the zookeepers were "hogging the gorilla." While a strong argument can be made for the practice of moving animals for breeding purposes in the case of endangered species, animals are also moved because a zoo has too many of one species. The Milwaukee Zoo writes on its website that exchanging animals with other zoos "helps to keep their collection fresh and exciting." 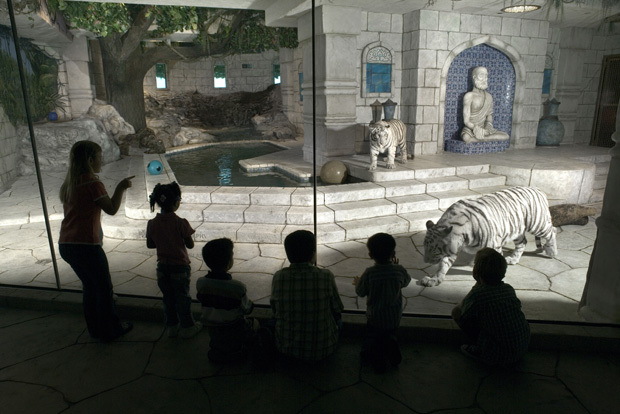 To combat zoochosis, many zoos have enrichment programs in which animals are given distracting toys or puzzles to play with, food that takes longer to eat, or more complex additions to their enclosures. While acknowledging that enrichment is better than nothing, Braitman says it is "a band aid ... when you have a lemur in an enclosure, even if it's a great enclosure, it's still an enclosure." Enrichment has been found to reduce stereotypic behaviour 53 percent of the time. Drugs are another common treatment for stereotypic behaviour. "At every zoo where I spoke to someone, a psychopharmaceutical had been tried," Braitman told me. She explained that pharmaceuticals are attractive to zoos because "they are a hell of a lot less expensive than re-doing your $2 million exhibit or getting rid of that problem creature." But good luck getting some hard numbers on the practice. The AZA and the Smithsonian National Zoo declined to be interviewed for this article, and many zookeepers sign non-disclosure agreements. Braitman also found the industry hushed on this issue, likely because "finding out that the gorillas, badgers, giraffes, belugas, or wallabies on the other side of the glass are taking Valium, Prozac, or antipsychotics to deal with their lives as display animals is not exactly heartwarming news." We do know, however, that the animal pharmaceutical industry is booming. In 2010, it did almost $6 billion in sales in the United States. After reading Animal Madness, I visited the Smithsonian National Zoo in Washington, D.C. I encountered a pair of burrowing owls in a small glass enclosure whose informational placard unironically stated that their natural habitat is "open spaces." I also encountered a meerkat pacing for nearly all of the four minutes I stood at his enclosure. In the Great Ape House, I watched Mandara, a 34-year-old female gorilla, as she sat with her back against the glass, facing away from the children gathered behind her. The children touched the glass to get her attention before losing interest. 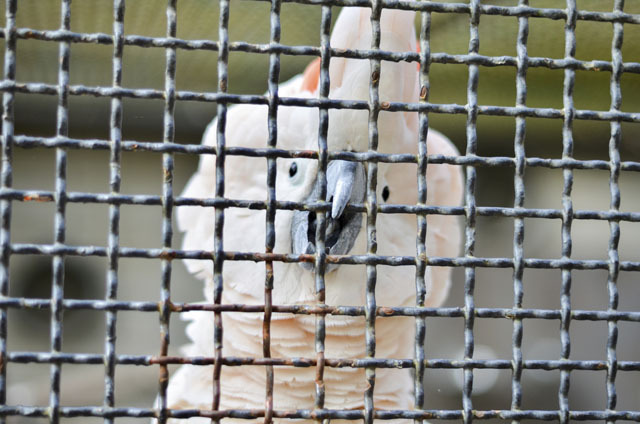 In Animals and Society, author Margo Demello explains that zoos often disappoint visitors: "People do not just want to see animals; they also want to connect with them, a condition impossible given the structural limitations of the zoo." The central conundrum of the zoo is that people love animals and remain curious about them, and yet the very animals that attract crowds pay dearly for our affection. Lowland gorillas in the wild have a range of roughly one to 16 miles, and Mandara's enclosure, though full of tires, hay, and artificial tree trunks, is the tiniest fraction of that. While taking notes in the Great Ape House, a zoo volunteer inquired about what I was doing. I explained that I was a journalist writing a piece about animal well-being. My response seemed to concern her and she told me that the gorillas "are very happy here." She encouraged me to touch a sample of gorilla hair she carried in a pouch. It was rough, but surprisingly human-like. Zoos exist to serve the human gaze. Braitman explains that this is a problem because "most animals don't want to be stared at-that's stressful. And an animal that you can't see, that's a pretty crappy zoo exhibit." At the San Francisco zoo, the gorilla exhibit is recessed, so visitors look down on gorillas from above. This is in some respects an inventive way to keep the gorillas enclosed without bars, glass, or electrical wires, but being seen from above puts the gorillas in a vulnerable position and makes them uncomfortable. Zoos portray themselves as the arks of the animal kingdom, safeguarding the future of biodiversity. And it's true that many zoos do have conservation, research, breeding, and reintroduction programs, which are certainly noble projects. But what about the rest of the animals that are not endangered? At the National Zoo, only one fifth of the animals are endangered or threatened. And for those animals that are endangered, is it a requirement that the same kinds of animals being conserved also be kept in zoos? Zoos argue that they are promoting appreciation of wildlife that will translate into environmental conservationism. The AZA released a study in 2007 on the educational impact of zoos, arguing just this point. 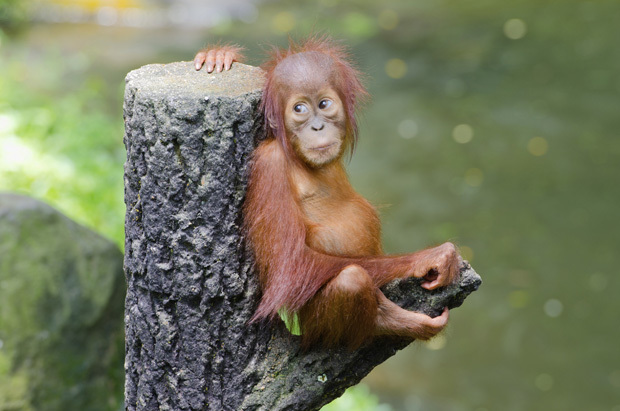 However, an examination of the study by researchers at Emory University found the results exaggerated, noting that "there is no compelling or even particularly suggestive evidence for the claim that zoos and aquariums promote attitude change, education, and interest in conservation in their visitors." Animals and Society highlights research that found that the average visitor spends 30 seconds to two minutes at an enclosure, and that most visitors do not read the labels at exhibits. Stephen Kellert, a leading social ecologist at Yale, argues that zoos encourage the notion that humans are superior to animals, rather than encouraging kinship with nature. Many zoos cite the longer life expectancy of zoo animals to show that living conditions are humane. The animals are free from the danger of predators, so how bad can it be? To this, Braitman writes, "A tally of years lived and calorically balanced meals eaten doesn't account for quality of life or the pleasure that can come from making one's own decisions." But longer life expectancies are not found in all captive animals. A study in the journal Science found that zoo elephants' life spans were less than half that found in protected wild populations in Africa and Asia. When I spoke with Braitman, she went to great lengths to explain that zoos' failures to provide satisfactory habitats are not the fault of the zookeepers, adding that most truly want what is best for their animals. During my visit to the National Zoo, I too was touched by my encounters with zookeepers. I met one gingerly handling a tenrec (a hedgehog-like creature native to Madagascar) who knew the answer to every question I peppered him with about the animals in the exhibit. But if not zoos, then what? Both Braitman and DeMello agree that our desire to interact with animals is a good impulse. DeMello suggests non-intrusive activities like whale watching. Braitman offers a more drastic prescription: End zoos as we know them and replace them with hands-on petting zoos, teaching farms, urban dairies, and wildlife rehabilitation centers, where people can interact with the kinds of animals "who often thrive in our presence," such as "horses, donkeys, llamas, cows, pigs, goats, rabbits." Braitman chides us for our delusion "that it is our right to see exotic wildlife like gorillas, dolphins, and elephants in every major American city ... especially since it often costs the animals their sanity."